The Dog-Eared Collective are a sketch troupe of funnymongers championing a wildly anarchic and darkly surreal brand of comedy. 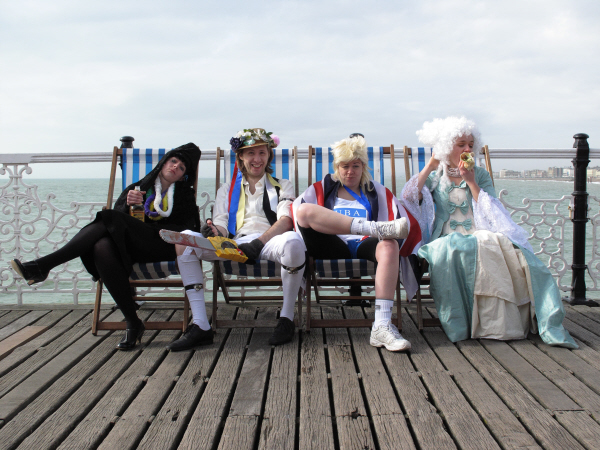 The company have performed full length comedy shows at festivals including the Dublin International Fringe 2006, Edinburgh Fringe 2007-10, Leicester Comedy Festival 2008 and Brighton Fringe 2009-10. They also ran and compered their own monthly comedy variety night at the Paradise Club (London) in 2009. They have gigged across the UK at comedy nights including The Good Ship Comedy Club, Crash Test Comedy (The Pleasance), Unplugged (Highlight),,SPANK (Edinburgh) and this year previewed their 2010 show at the Isis Comedy Festival (Kill for a Seat Comedy).